An introduction to AltiumLive and the cool new community applications that are available for you to use. AltiumLive is an online extension of your Altium Designer software. It is a place where you can connect, engage and exchange values and ideas with the broader Altium community. It’s also a mechanism that keeps you up to date with the latest device support, features, updates and online services. The new AltiumLive Forum continues where our previous user forums left off. We’ve moved all the threads from the old forum over to ensure the continuity of your conversations. Previously our Forums were closed and accessible only to users of the software. The AltiumLive forums are open for all AltiumLIve community members to view, opening the Altium community to everyone who wants to take part. You no longer require an Altium license to follow the discussion. Anyone will be able to observe, those wishing to engage or interact will need to register with us to do so, and of course, as before, Altium users are already members. With AltiumLive, we are introducing a new recognition program. This is a points-based program, where your points work just like currency within AltiumLive; they can be earned, redeemed, traded, or saved. Your points are part of your AltiumLive membership and can be used and accumulated through your actions in AltiumLive's Forum, BugCrunch, and Blog. You earn points as you engage and interact within the community - the more you contribute, the more you accumulate. Points can be used to place a bounty, or reward, on questions or requests requiring urgent or precise responses in the forums. This kind of information is valuable, hence you can trade your points for premium assistance. Coming soon are Community badges. You will receive badges with your AltiumLive membership. These badges represent your status, and are tiered based on your experience and contribution. Your points contribute to your status - as you accumulate points, your status grows and your badges will upgrade accordingly. Licensed users will also have access to a brand new bug reporting and prioritising tool called BugCrunch. BugCrunch is a new democratic system to report and nominate bugs that users find in Altium Designer. Hence, to use this system, you must have a valid Altium license. You can then use your accrued AltiumLive points to vote, and garner votes from community members to prioritize these bugs. The pressure is then on us to develop a fix. With Altium Subscription and as a Subscriber Plan member of the AltiumLive community, here you will have access to download Altium Designer and various other solutions available from Altium - such as our Satellite Vault, Altium Designer Uninstaller, Private License Server, Altium Instrument Dashboard, and Altium Designer Viewer. This page hosts the various content services that are available from Altium - content that is stored in secure cloud-based managed vaults, with each provided as a service (AltiumLive Vault Services). 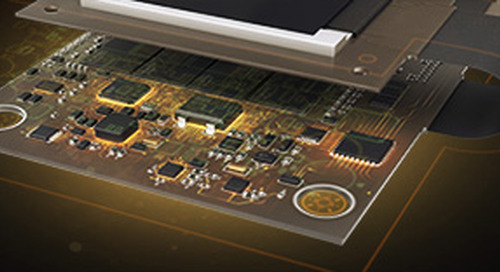 This content includes vault-based collections of managed components, managed design content (such as PCB document and design templates), and access to the managed design data for all production-approved hardware designed and released by Altium's Hardware Design Team. Access to the Altium vaults will only be to Subscriber Plan members of the community. You will also be able to connect to these vault services from within Altium Designer, using your standard Altium Account credentials. Moving forward, you will be able to pay for a cloud-based managed vault service for your own company, which will be accessible from this page of AltiumLive. This opens up the possibility of sharing managed content (vault-based components, managed sheets, etc), as well as production release data on a more global scale. And you have full control over who you share folders of content with. For the creator of a vault, they will be able to see and manage all vault content – administrator-level privileges. For a shared user of that vault, only those folders that have been shared – i.e. the user has permissions to access – will be accessible when the user connects to that vault. And once shared, a user can connect directly to a particular folder of content and even potentially bookmark this connection as a favorite destination. Imagine a myriad of such vaults from companies all over the world, holding content to potentially be shared and traded. Vaults whose presence are made known through the concept of registration. Extend this registration – assignment of globally unique identifiers (GUIDs) – to not only the vault itself, but to the zones (vault folders) and objects (the Items and revisions) within, and store this registration information in a central, web-based registry server – a 'global look-up table' of registered objects – and at any time a particular object can be located in any zone of any vault, anywhere around the globe! At a vault-level, this would be analogous to a global telephone directory, with the number being the identifier of the vault. So all these users register their vaults, each containing shared folders (zones) of different design content. What would this actually mean from a design perspective and more to the point, how would it be of benefit? Well, the old adage "don't reinvent the wheel" is typical of electronics design. Many engineers sit doing just that. Making their own component libraries. Placing similar bits of circuitry in multiple designs over and over. Creating their own IP from scratch each time. But what if design elements that had already been created and released could be somehow sourced and used in those designs? The design time would be shortened, allowing engineers to concentrate on innovation...sure, take some existing design building blocks that many others are sure to use, but then massage the design to fit your own unique product requirements, thus breaking the mold of hum-drum ordinariness and entering the realm of the extra-ordinary – product differentiation to a T! And that's exactly where a global registry of organizations – and their vaults and design Items therein – would come into play. A global 'shopping mall' of design content on offer. A connected ecosystem of designers in which the shared folders (zones) in a vault become additional 'stores' in that mall. A broad and deep collection of design building blocks to be perused and acquired for use in your own designs, and for you to reciprocate and add available content of your own (in your own defined vault zones) – the term 'off-the-shelf' never applied itself so aptly! Three plans are available, each offering differing levels of access to the AltiumLive community. If you have a current Altium Subscription, you can select to become a member of the Subscriber Plan, effectively giving you an "access all areas" pass to AltiumLive and all it has to offer. If you are a valid Altium Designer license holder but not on an Altium Subscription, you can select to become a member of the License Holder Plan. You’ll enjoy a rich AltiumLive community experience, but you won’t have the ability to download software, vote on bugs and write data to the Altium Vaults. If you don’t have a valid license of Altium Designer or Subscription, you can still participate in the community through the Community Member Plan. Be an observer in the Forums, access the community blog and engage in live chat, but you’ll have no access to BugCrunch, HelpDesk Support or the ability to download software. These three tiers of membership - Community Member Plan, License Holder Plan, Subscriber Plan - and the benefits associated with each, are summarized in the table below. As the primary contact for your account with Altium, you can decide who in the company gets what level of membership to the AltiumLive community. For example, if you have current Altium Subscription and are the person who manages the license, then you would probably assign yourself the Subscriber Plan membership. For each valid seat of the software under that account, you would assign your team members License Holder Plan membership. Finally, for other members of the wider product design team, such as procurement and purchasing, you might want to get them on a Community Member Plan membership, so they can still actively contribute to the community. Our intention is to automate this process so you can log into your AltiumLive account and transfer the plans to the appropriate person - as needed. While we’re building this capability, you should contact your local sales and support center to make any changes to the plans that are assigned to contacts in your organization.